Electric control motion like actuators with LCD screens are useful in Home automation, but it is necessary to choose the control products designed to support the automation of specific devices and systems. 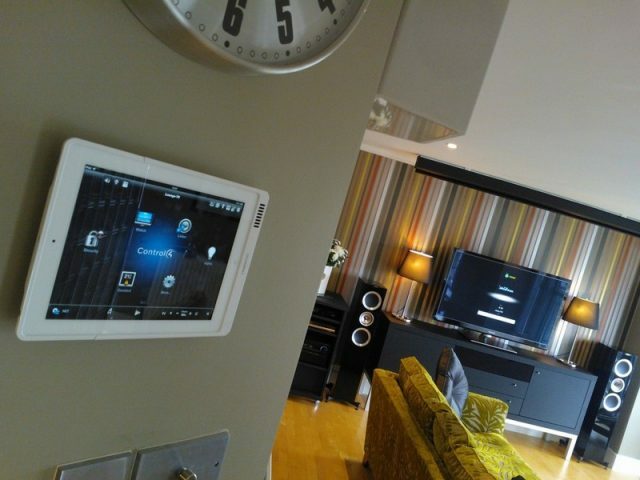 Advancement in the electronics technology has been valuable in the innovation of home automation systems. The technological changes are easier to adapt more than ever before, where users seek to gain better control of their homes, the security system and the home appliances. The microcontrollers used in home automation help in controlling various applications where they are integrated with electronic technology, where there is a central control to improve the home automatic control. Home automation not only increases the comfort and security of houses, but also reduces errors when there is automatic automation of events. One of the main benefits of automating homes using a microcontroller is that they can regulate the temperatures to the desired levels. Home automation is beneficial compared to the manual system when the control and monitoring is complex including temperature regulation. Temperature changes may be undertaken when there is constant monitoring using the LEDs .Temperature regulation includes automatically changing the exhaust fan. The auto configuration option associated with using the microcontroller to aid automation may also give one the option to remotely control different home appliances that increase the room temperatures. In any case, actuators give home owners and builders the option of customizing the monitoring and control system to fit. 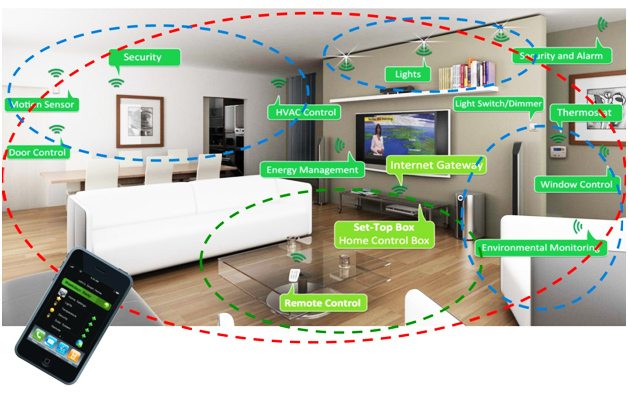 Temperature sensing is one of the most commonly used functionalities of the home automation system. Using sensors and Thermistors to facilitate home automation of the temperature sensing system, where there are different threshold values. The sensing system in turn controls the sensor section with the controller switching on and off depending on temperature changes that deviate from the threshold levels. Even as the sensors and the monitors are integrated into the home automation system, it is the central control unit that helps in monitoring automation as required. Improving energy efficiency is possible using automated temperature control, with the microcontroller the main element of the control system. For instance, when there is temperature increase signals are sent to the microcontroller which then controls various electrical devices like the fan. 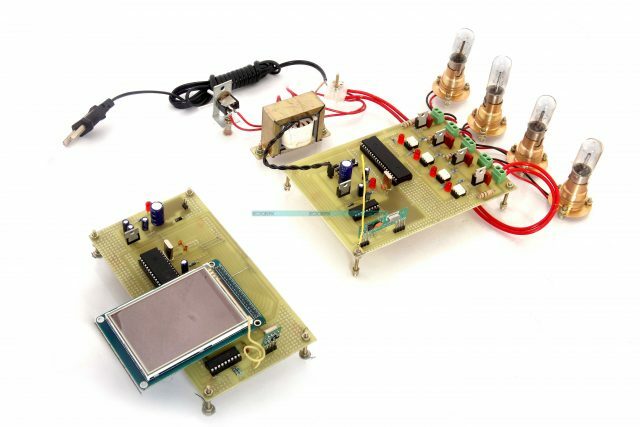 The temperature sensing circuit is linked with various rooms to set the temperature to the desired level, having already identified the programmable threshold values/ trigger points. Controlling the closing and opening of doors and pumping water when fire is detected are options that can be integrated into the temperature control system. Home automation makes it easier to control various home appliances in a convenient manner, and the microcontroller is the link that switches the electric appliances when the need arises. 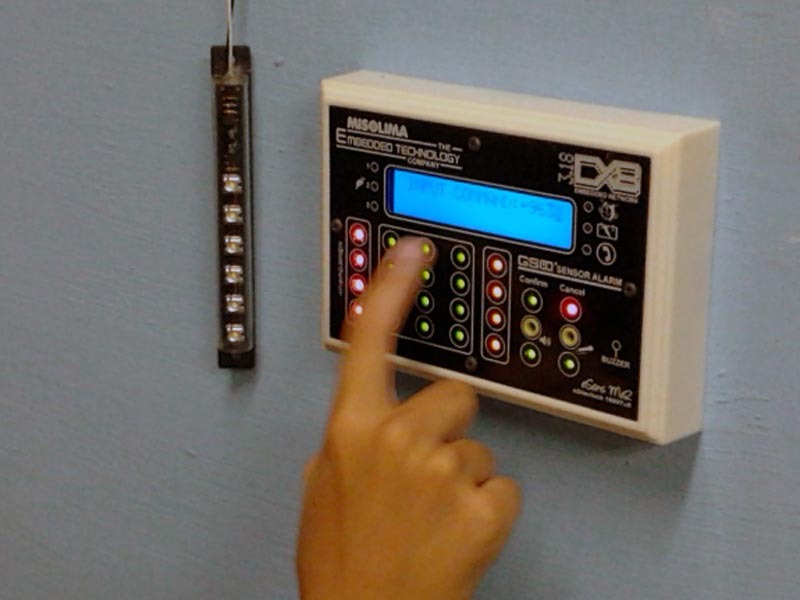 Additionally, automation can be programmed to send alerts through sensor motion with automation to meet personal needs. When there is interaction of appliances with the control system the design considerations are integrated. The user needs are important indicators of the final outcome since it is crucial to deal with the design challenges before the actual automation. The appropriate microcontroller will also depend on the user requirements as integrated into the design.